This workshop will focus in not only reviewing the Intermediate Mat exercises, but it will also provide you with effective and safe ways to progress your student from the beginner level to the intermediate one. This workshop will be helpful for those teaching mat as well as apparatus sessions. A native from Brazil, Márcia studied classical ballet, as well as Modern Dance, for 26 years. During her studies she was introduced to the discipline of Pilates and was amazed at the benefits achieved through this technique. In Brazil, she trained classical Pilates for 3 years with Cecilia Panelli, an instructor trained by Romana Kryzanowska. After moving to the United States, Márcia attended and completed 600 hours of training in the Power Pilates course under the supervision of Erin Horst, at Evolutions Annapolis, having as Teachers Trainers Juliet Harvey, Alison Laundrie and Bob Liekens. Márcia has been teaching Pilates since 2003 and opened the Center of Life Pilates Studio in May 2004. In 2006 Márcia became an International Teacher Trainer for Power Pilates, and since then she has been training pilates instructors in Maryland, Virginia, D.C. and at studios in Brazil. Since becoming a Teacher Trainer, she has also been teaching a variety of continuing education courses at Power Pilates conferences. Márcia is very keen on attending workshops to deepen her knowledge in Pilates, she desires to keep on learning as much as she can about the method. She has extensive experience in teaching all levels, from beginner to expert, as well as clients with special physical needs. Her goal with each individual is to help achieve enhanced health and happiness through the discipline of Pilates. 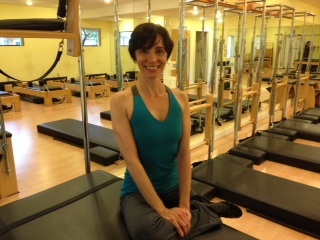 Márcia is also a Pilates Method Alliance certified instructor.